Hi guys! Today's polish is part of OPI's Euro Centrale collection from Spring 2013, but this polish works perfect for Fall if you ask me! 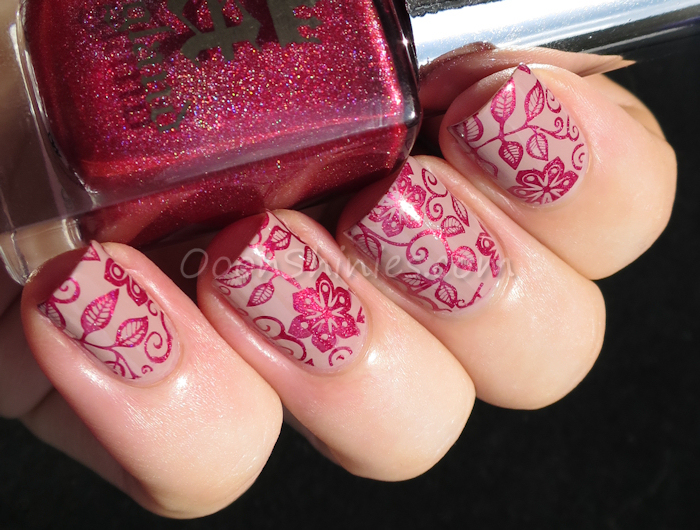 And if you celebrate Thanksgiving and are looking for a nice polish to go with it, have a look at this one. We don't celebrate it here, but this polish makes me think of Thanksgiving nevertheless :) It's a burnt orange with golden shimmer that covered in 3 easy coats. It does need some basecoat I noticed, my nails have a slight red glow now, oops! What do you think of this one? Thanks for looking and have a great day! Hey guys! 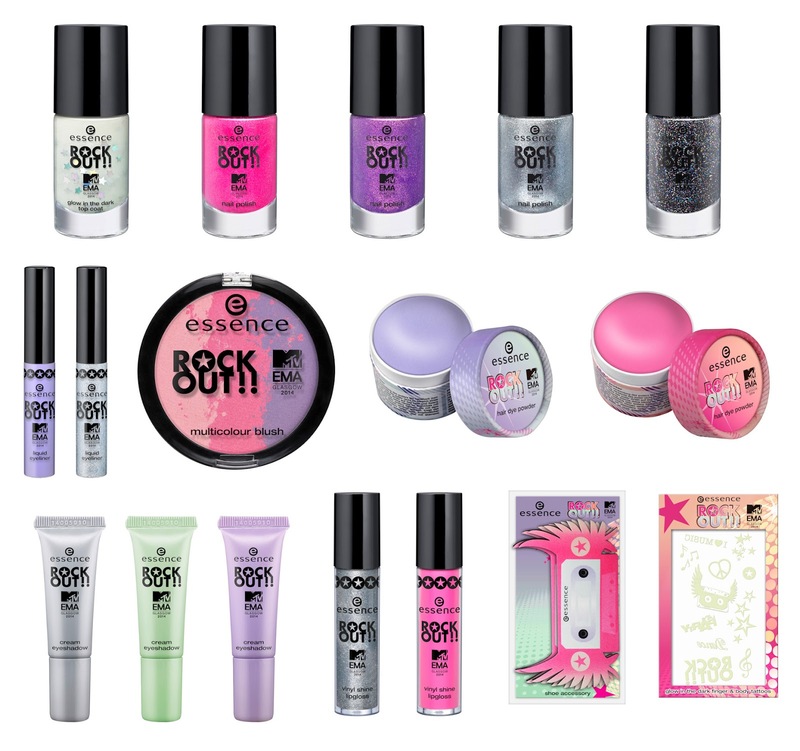 The Essence Rock It! Limited Edition is created to celebrate the MTV Eurpoean Music Awards, which they sponsor as well. This LE will be in stores from mid October till end November. glow in the dark top coat €1,99: biggest fan. 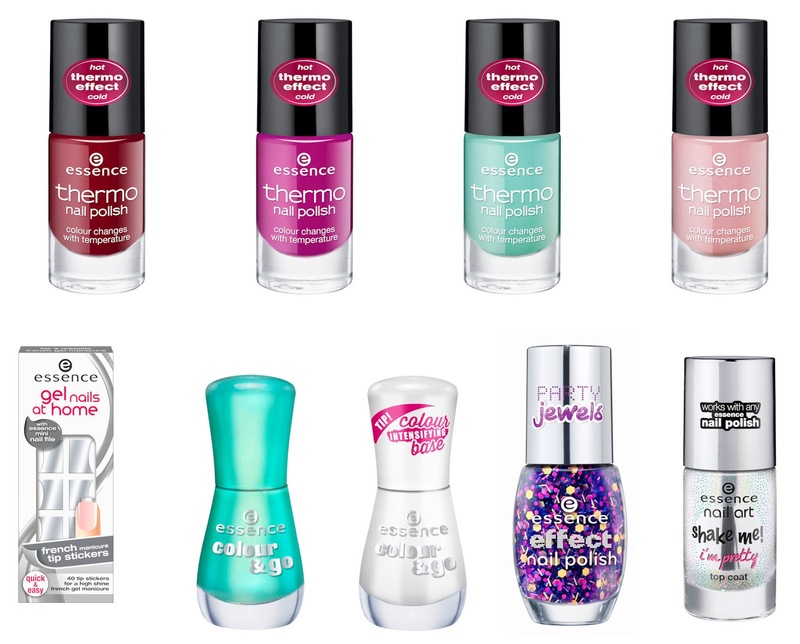 nail polish €1,99: best rock - best hip-hop - best pop - best female. 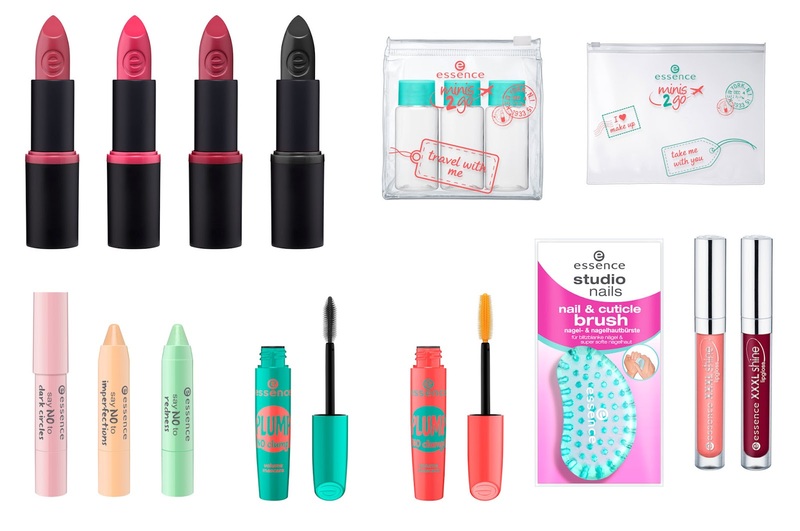 liquid eyeliner €2,39: best pop - best rock. multicolour blush €3,39: global icon. hair dye powder €2,99: best pop - best female. 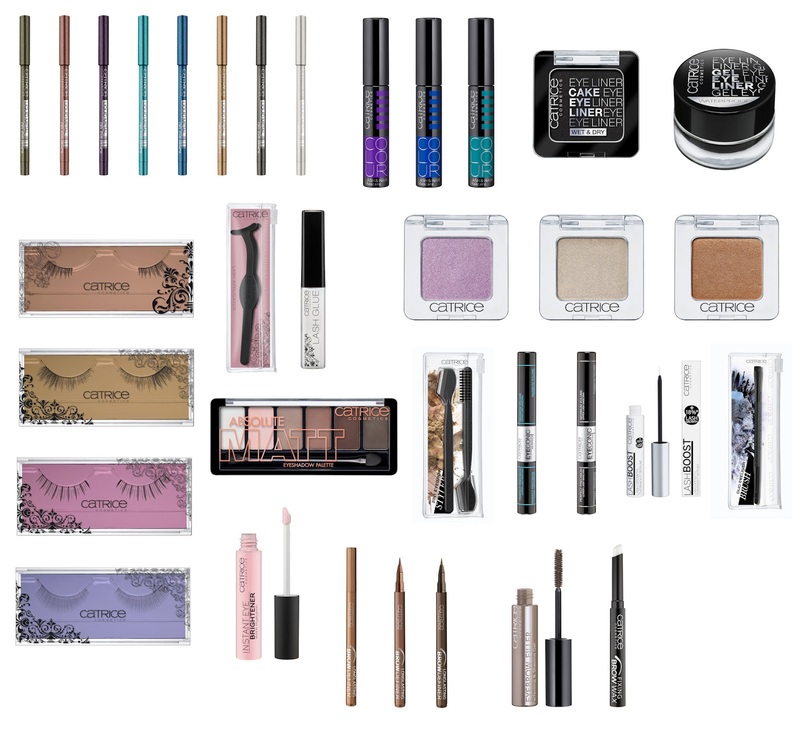 cream eyeshadow €2,39: best rock - best look - best female. 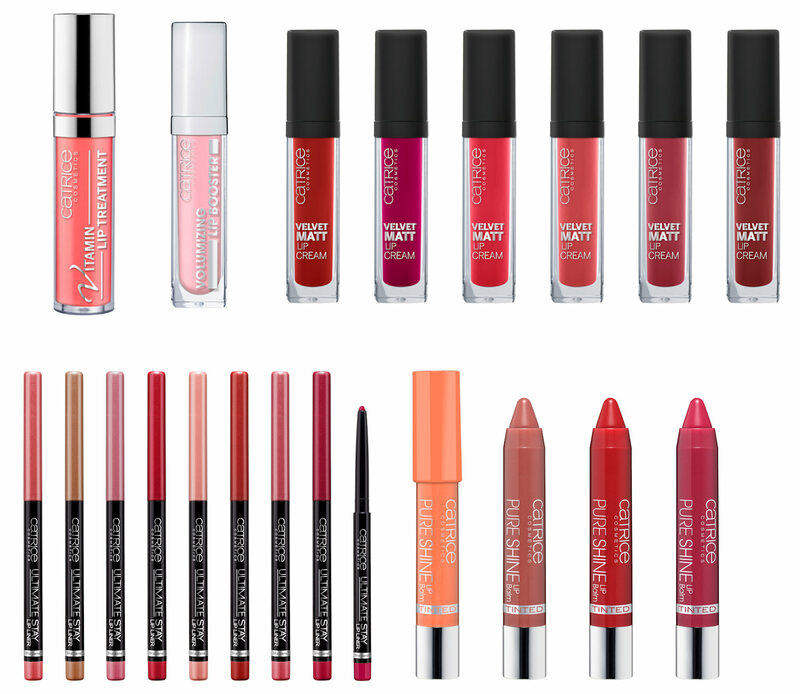 vinyl shine lipgloss €1,99: best pop - best rock. shoe accessory €3,39: emazing performer. glow in the dark finger & body tattoos €1,99: glow in glasgow. 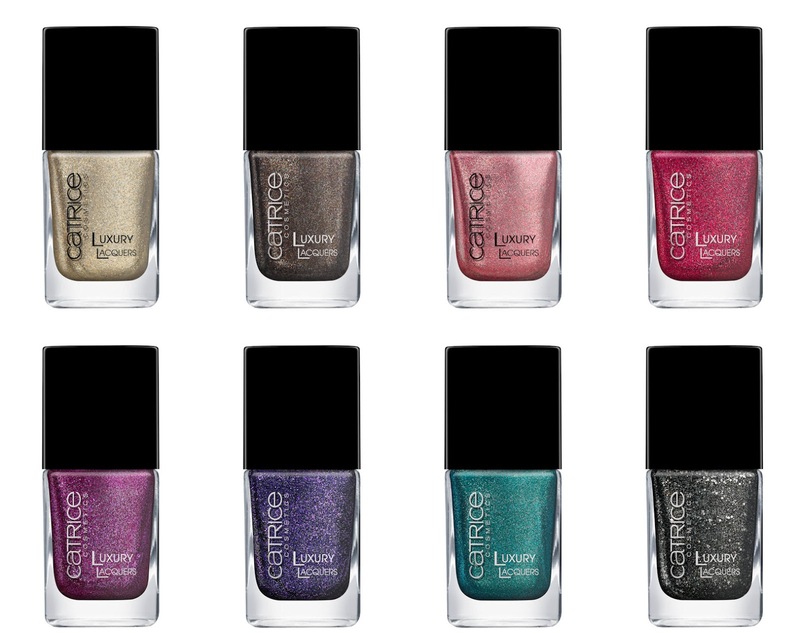 All polishes are glow in the dark, the top coat has starshaped glitters in it. The dark glitter might look nice, but the rest doesn't really appeal to me so far! How about you? Howdy all! Bundle Monster recently released a plateset called Sun Kissed: 10 plates with a beach & ocean theme. It took a little bit longer than I hoped (me being a bit sick, Dewdew needing some trips to the vet, and if that wasn't enough, my indexfinger nail chipped badly), but finally, here's the review :) I went with a basic design to start with, and here's how that looks! Hi guys! I already showed you the awesome DRK XL Designer plate the other day, but I received another plate with one huge image on it, the Themes-SF plate. 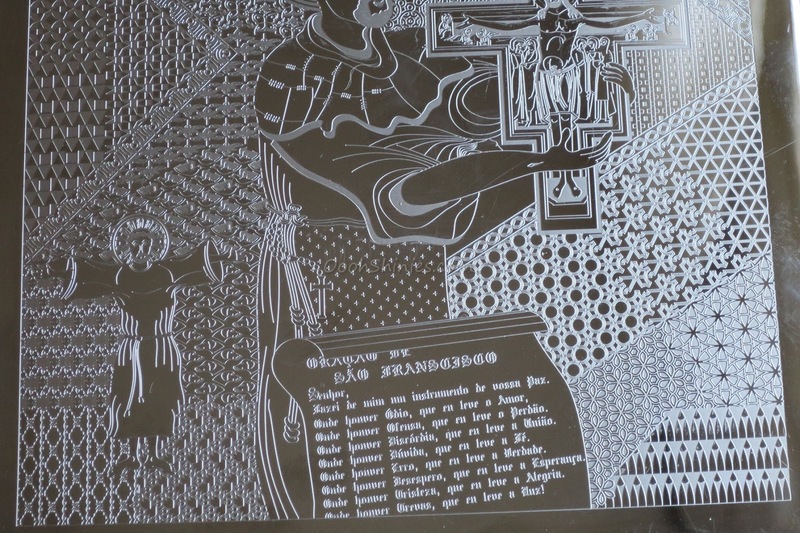 This plate was made to honor Saint Francis of Assisi, who is known as the patron saint of animals. Well, to be honest, I don't think I ever heard of him before, but you know I love animals too, haha! And I had no idea either that October 4 World Animal Day was his feast day! :) DRK Nails donates $2 of each sold Themes-SF plate to an animal organization (SUIPA), which unfortunately I can't tell you much about, since I don't speak Portugese (I'll spare you the Google Translate ^^). 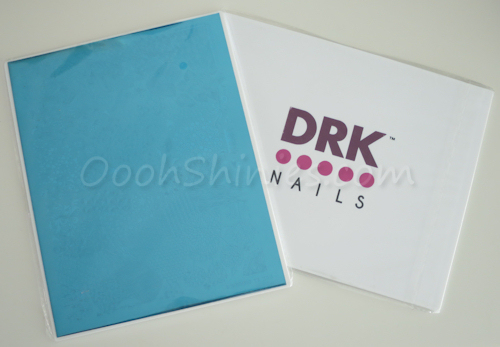 But I think it's absolutely wonderful that DRK Nails does this! You can find more information about this plate on their site. Anyway, let's look at my mani, shall we? 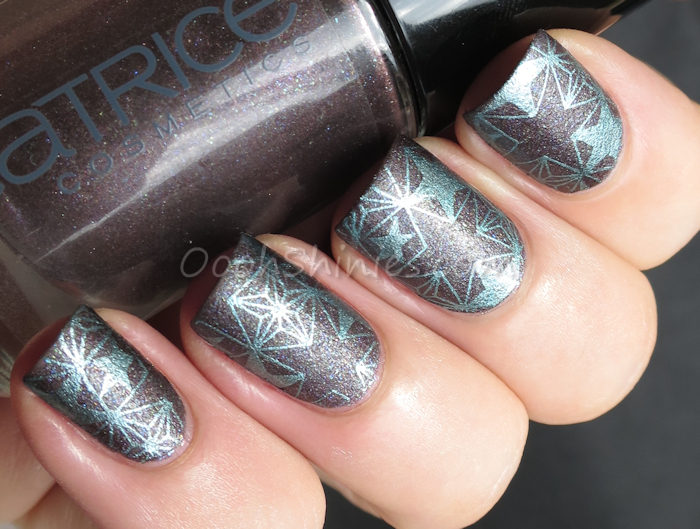 Catrice Steel My Heart with China Glaze Adore and DRK Nails Themes-SF. I went with a metal effect basecolor and didn't use top coat on it, and picked a finer lined image to see how it transfers. And yes, the quality of this plate is fantastic; crisp clean image, sturdy white back, loads of images or combinations to choose from! You can click the image below for an enlargement, and since it's about the patron saint of animals, I figured I could use this "failed" photo with Dewey, haha! When I first looked at the plate, I thought 'wow that's quite a few faces and entire people on it' and I wasn't fully sure about that to be honest. 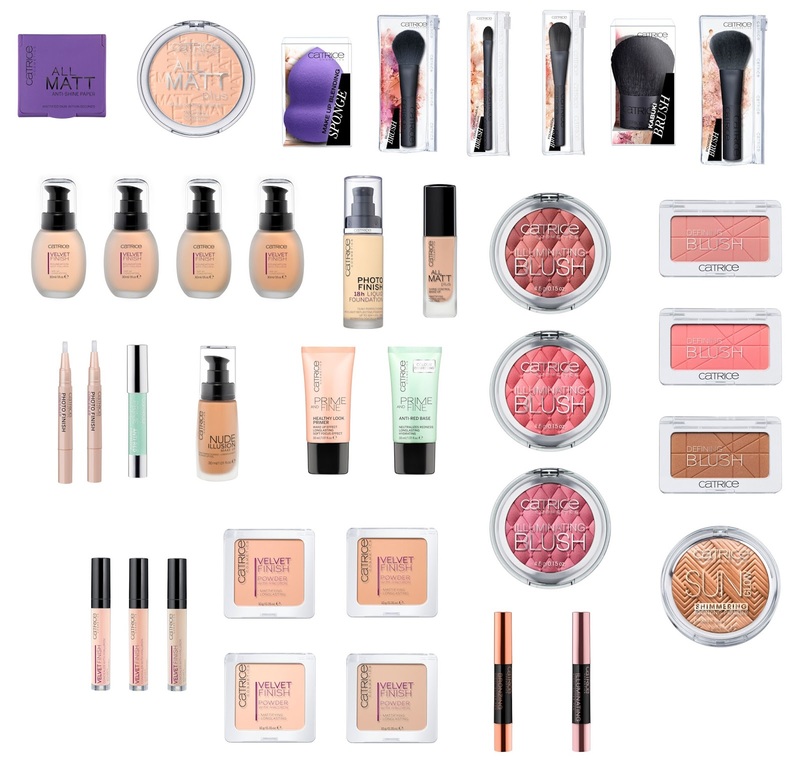 But once I had a closer look, I started seeing more and more options. Like the collarpart of the man's clothes, it's a stitched together image. Near his arms, thin stripes. Or go for the thicker stripes of his robe, ... The plate also contains some animals, I see a knight on his horse, and near Dewdew's face are dog heads, butterflies, birds and dragonflies. 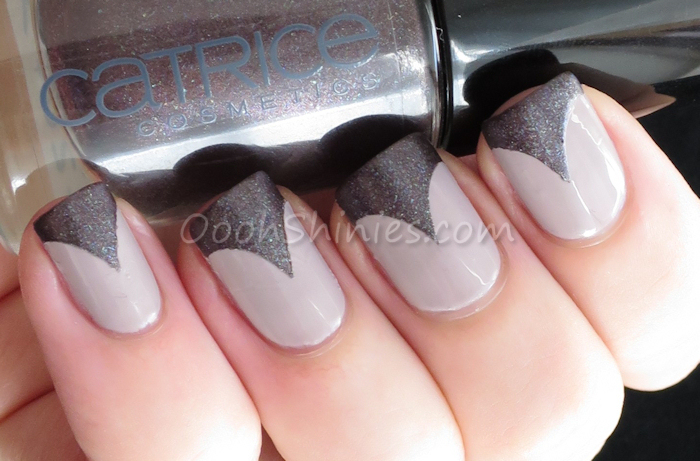 Catrice Be Natural with Catrice Steel My Heart and BPS tip guides. The little bit of sun really brought out the hint of purple in the base! This was an easy mani, basecolor, top coat, tip guides, metal effect polish on top aaand done. 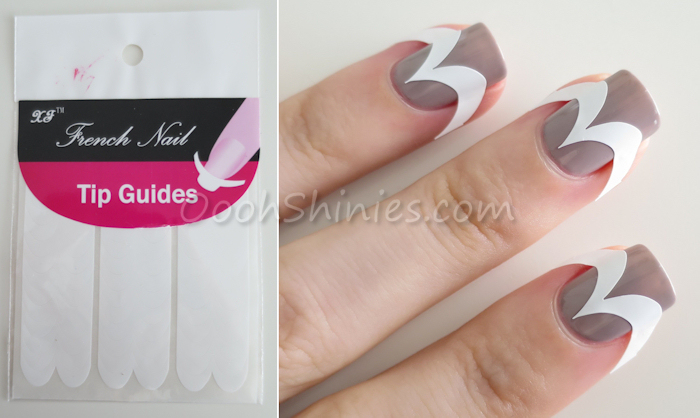 The tip guides that I used are from BornPrettyStore and I absolutely love these, they're so versatile! They worked great as well and there's plenty on a sheet (36 and another 3 that are straight on 1 side). You do have to be a little bit careful when taking them off the sheet to prevent them from breaking in the middle, but you can use them like that as well to create even more options. They're $1.58 for a sheet and you can find them here (and as always, ABJ61 gives 10% off!). 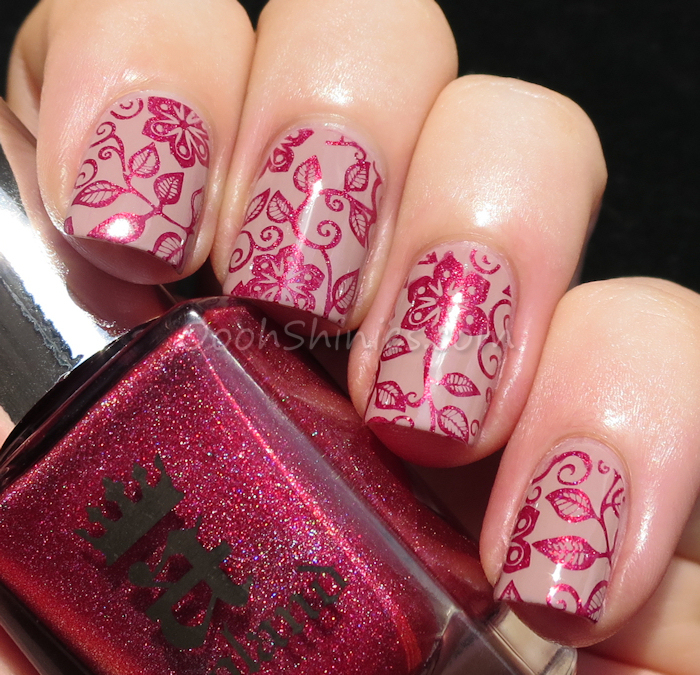 Catrice C02 with A England Rose Bower and DRK XL Designer 1. And here's the plate that I used, it's so awesome! 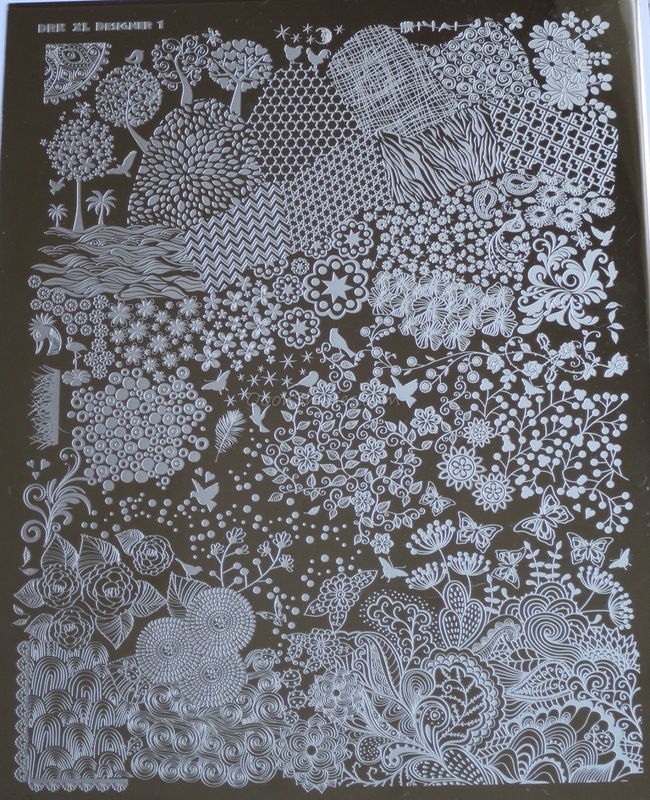 The options with this plate are endless, and the image that I used today is totally my kinda thing, so pretty ♥ But there's plenty more swirly, flowery images on this plate and I'm sure I'll enjoy using those too! I kept the image quite big so you can check out all the details if you want. The older plates that I have from DRK also have a protective cover on the back, but these new plates come with the hard, rubbery back that you see more often on plates nowadays. I like that back, it feels more sturdy. The size of the plates is the same as their old big plates (I reviewed a bunch of them before, which you can find here). 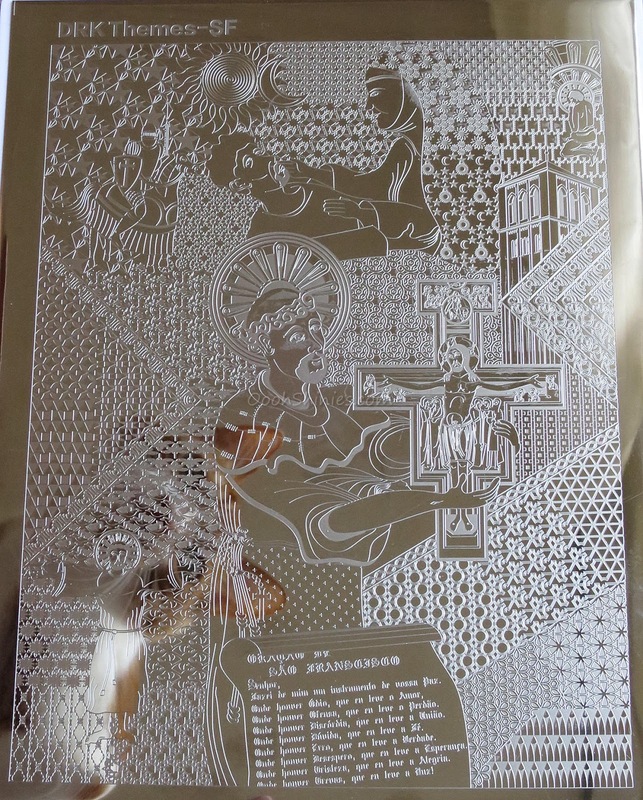 But I also measured the platesize (the whole metal plate, not just the image) to give you a better idea, and it's around 16.5x21 cm / 6.5x8.26 inch. The plate can be found on the DRK Nails website and costs $22. They also carry platefolders for these big plates, and make sure to check out their polish as well!